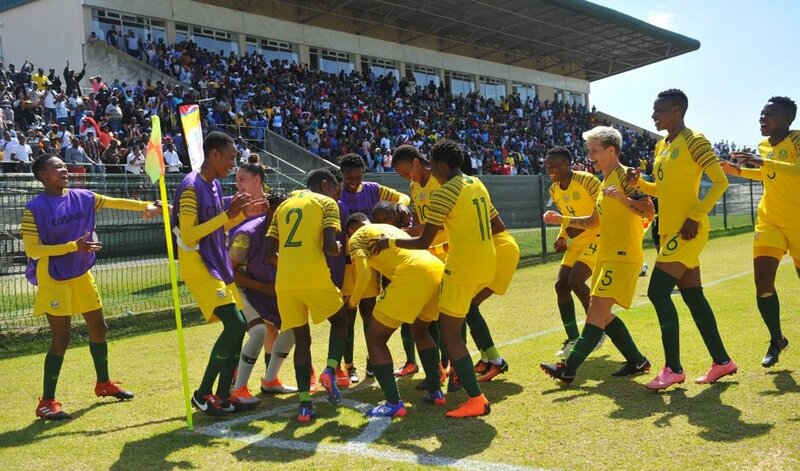 South Africa have successfully defended their COSAFA Women Championship title after beating Cameroon 2-1 on Saturday. Refiloe Jane scored a brace for Banyana Banyana while the West African guests got their consolation through Ngo Mbeleck. Jane opened the scoring in the 42nd minute with a brilliant strike after Cameroon had dominated possession in the first stages of the game. Mbeleck found the equaliser on minute 66, beating her marker before slotting home from a close range. With both teams tied in the 90th minute, Jane grabbed the winner to give South Africa their fifth COSAFA title.